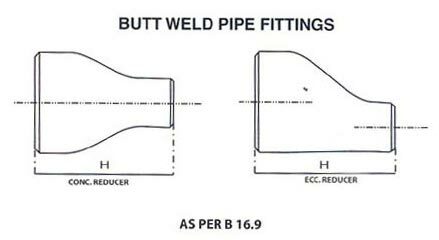 Buttweld Reducers that we offer are manufactured using alloy steel, carbon steel, stainless steel and nickel alloys. These reducers are perfect to be used for preventing fluid leakage. We make available Buttweld Reducers in different types such as steel concentric reducer, steel eccentric reducer etc. We conduct stringent quality tests on the entire range of our Buttweld Reducers so as to ensure that only the defect-free product reaches the customersâ�� end.